Do you remember the cool camping Solo Stove we featured a while ago? Well, now the same crew brings us something a bit different. 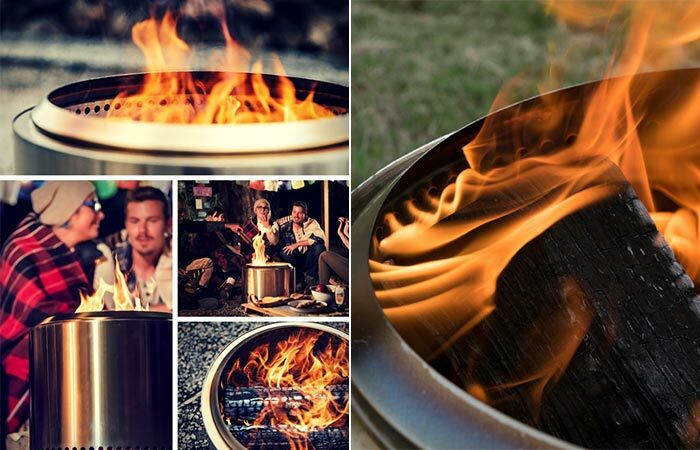 Solo Stove Bonfire is currently being funded on Kickstarter and as they say, it’s the world’s most unique fire pit. 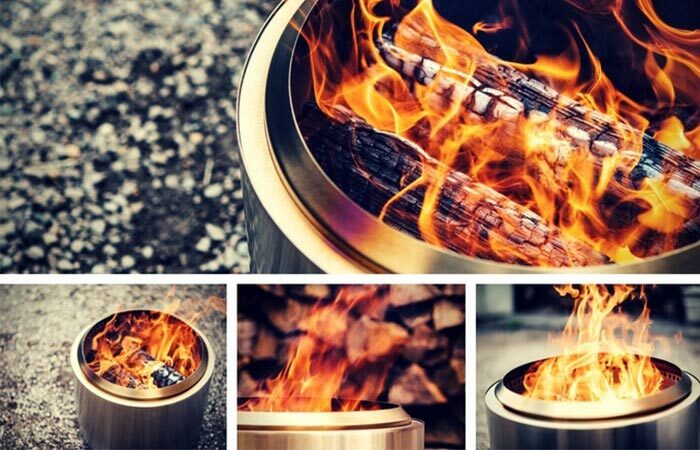 The Solo Stove Bonfire features a minimal design and is great for when you’re having friends or family over. The bonfire uses high grade 304 stainless steel that is very durable. Having a double wall, the airflow is maximized for an extremely efficient burning process. Solo Stove Bonfire will provide you with a cleaner burn that contains less smoke. Just like with their stove, you can find holes at the bottom. They allow the air to come in from below and improve the fire’s combustion. So, how does this work? Firstly, the combustion happens in the lower part. Then, the warm oxygen travels up through a double wall to top holes, creating the second combustion. The result is a nice flame with very little smoke. Not to forget that the wood will burn much longer when you compare it to an open fire. Check out the Kickstarter video below. The construction features a durable high grade 304 stainless steel, removable fire ring and holes at the bottom. Solo Stove Bonfire can fit standard sized firewood logs. The fire ring is removable and centers the fire. Everything comes in a nice weather resistant nylon carry bag, so you can easily transport it. As for the dimensions, it measures 19.5 x 14 inches and weighs 20 lbs. Check out this video and learn more about the Solo Stove Bonfire.